41. Rabbi Yonatan and Mrs. Ina Markovich, who operate the Perlina school, opened a school for autistic children in Kyiv in 2010. Known as Дитина з майбутнім (Ukr. ; Children with a Future), the school is housed in a renovated two-story building previously used as a preschool. In an earlier discussion, Mrs. Markovich told the writer that she and Rabbi Markovich had been approached by a number of Jewish families seeking educational programs for their autistic children. After unsuccessfully attempting to integrate several such youngsters into regular Perlina classes, the Markoviches decided to open a dedicated school for autistic children. They approached specialists in their home country of Israel for advice and visited various Israeli institutions working with autistic youngsters before proceeding with thei r plans. No full-day programs with meals or social services had existed in Ukraine prior to the launch of the Markovich program. 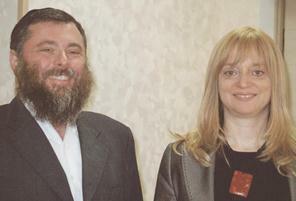 Rabbi Yonatan and Mrs. Ina Markovich are natives of Ukraine and Russia respectively; Rabbi Markovich is a graduate of the Technion in Israel and a veteran of the Israeli air force. Mrs. Markovich graduated from an Israeli teachers college. With the help of several families with autistic children, the Markoviches obtained an underused preschool building and renovated it according to recommendations of Israeli specialists. The demand for such education is so great that the normally ponderous and corrupt Kyiv education bureaucracy issued them a 10-year operating license without even inspecting the facility, which, in any case, was not yet completed at the time operating permission was secured. The relevant official, who is known “to like envelopes”, i.e., to expect envelopes containing bribe money, did not request payment of any kind. The school currently enrolls 19 children between the ages of three and nine, all of whom have some Jewish heritage, but some of whom are not halachically Jewish. Jewish programming in the school is light. Recognizing that autistic children require stability and continuity, the school operates year-round with one two-week break. The school is staffed by a director, an individual teacher for each pupil, a speech therapist, a physical education specialist, and a psychologist. All of the teachers have education degrees or certificates, but few have had any consistent training in special education for autistic children. A specialist from San Francisco flies into Kyiv periodically for lectures and evaluation. The Markoviches readily acknowledge the need for more professional development, and note that Ukraine is behind many other countries in recognizing and addressing the needs of children with these issues. The Markoviches and their staff claim substantial progress in working with these youngsters in the two years in which the program has operated; however, space and staffing constraints are likely to proscribe expansion of the school for children older than nine. It is likely that the three nine-year olds will transfer into a public special needs school as 10-year olds in September 2012, a school that is less advanced in its approach to autistic youngsters than is the Markovich school. 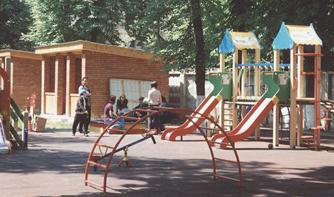 An extensive playground with a soft, resil-ient "floor" is available to children at the school, and the entire premises are sur-rounded by a high wall to deter vandals. The walled-in area also is secured by guard dogs at night. Development of a program for older youngsters would require another building, said Rabbi Markovich, and he is skeptical that they would be able to acquire one with the same ease that they obtained the existing building. The Markoviches observed that they already are encountering difficulty with the municipality over the existing school; it is deemed so successful in working with the current youngsters that the city is claiming the program as its own, although no municipal funding, goods, or services have been provided to it. In fact, the Markoviches continued, the Kyiv municipality wanted to produce a television feature about the city's purported success with these children and contacted the Markoviches about sending a film crew to document their progress. When the Markoviches realized that the intent of the planned feature was to perpetrate a fraudulent claim, the Markoviches declined to permit access to the film crew. The real cost of educating an autistic child at the school is about $2,500 per month, responded the Markoviches to a question. No family pays the full cost, but several pay substantial amounts and all pay something. The Markoviches have attracted several wealthy Jewish families as sponsors, including one with an autistic child successfully integrated into the Perlina school. All of the donors, said the Markoviches, are carefully "cultivated" and are periodically invited to the school to observe the work that their donations support. In addition to the 19 youngsters currently enrolled in the program, the school also provides assessment and coaching to a number of families living in other cities. These families bring their youngsters into Kyiv for as long as three months at a time, residing in apartments that the Markoviches have secured for this purpose. 42. As noted elsewhere in this paper, a residential program for youngsters from troubled homes is maintained by Rabbi Yaakov Dov Bleich. Another facility for Jewish children is operated by Rabbi Moshe Asman of the Brodsky synagogue. In general, the number of youngsters in these programs throughout Ukraine has declined sharply in recent years, probably reflecting the general Jewish population decline. 43. With support from Canadian businessman and philanthropist James Temerty, a Jewish studies program is underway at the National University of Kyiv-Mohyla Academy (NaUKMA) (Ukr: Національний університет «Києво-Могилянська академія» - НаУКМA). According to Ukrainian Jewish leader Iosif Zissels, 20 students are expected to enroll in Jewish studies concentrations - 15 in history, five in Hebrew - in September 2012. As has been the case in other academic Jewish studies departments in the post-Soviet states, the program will be enriched by intensive courses taught by professors from Hebrew University in Jerusalem. James Temerty, a Canadian of Ukrainian descent, has established and leads the Ukrainian-Jewish Encounter, an effort intended to advance relations between Ukrainians and Jews. One focus of his work is development of relevant university studies programs at leading institutions in Canada, the United States, United Kingdom, Israel, and Ukraine. His primary effort in Ukraine appears to be at Ukrainian Catholic University in Lviv, but he also is supporting Jewish studies programs at KMA, a leading university in Kyiv. The Temerty grant, which is accompanied by a related grant from the Genesis Philanthropic Fund, should help develop a cadre of competent Ukrainian scholars and researchers in Ukrainian Jewish history, said Mr. Zissels, and should advance relations between the majority Ukrainian Christian population and Ukrainian Jews. UJE also will attempt to address the issue of unmarked and unprotected mass Jewish graves, i.e., killing sites, dating from the Holocaust. See page 64 about a rumored merger of the Mitzvah school with the Simcha school and see pages 79-80 for an interview with Rabbi Asman. For further information on the Markovich program for autistic children, see the writer's Observations on Jewish Community Life in Ukraine March 21-April 8, 2011, pages 93-95. 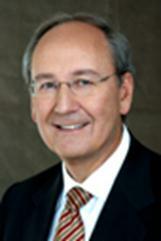 See pages 84-86 for a report of an interview with Iosif Zissels.